Jobsite safety – Local Plumbers in Scarborough With Experience! Jobsite safety – Your Plumbers in Scarborough with experience! Trouble Shooters is one of many plumbers in Scarborough, but what sets us apart from the competition? One reason is our dedication to health and safety training. 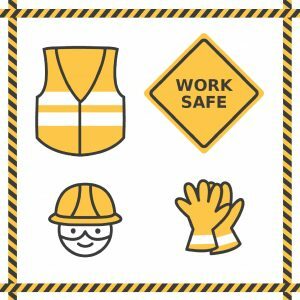 As part of our high level of safety standards, we train our team in various protocols that make our job sites safer and ultimately more professional. When you hire plumbers in Scarborough, we hope you keep in mind the number of professional hours that go into health and safety training. Much of our competition does not take this task seriously enough and we are often called in to take over for unprofessional work. This extra training time is often reflected in our higher price point, but remember that in return you will receive a higher standard of professionalism and quality of work. How to properly lift and carry heavy items like drain equipment and construction materials. This helps to prevent workplace injuries like sprains, back strain, etc. Keeping this knowledge at the forefront of our team’s mind means they are always in great condition to finish your job on time and without any unexpected delays. All of our team is equipped with commercial grade fire extinguishers in their trucks and the knowledge of how to properly extinguish multiple fire types. That’s right, there are multiple types of fires and knowing the difference can be the factor between putting it out and making it worse. It can be crucial to know how to respond to an emergency situation as it could save a life. We select key members of our team to train in emergency first aid. They know how to recognize, prevent, and respond to cardiovascular emergencies, choking, airway and breathing emergencies, and the prevention of disease transmission. The next time you are looking for plumbers in Scarborough take a minute to think about who you are hiring and if they will be working safely in your home. Should an incident or emergency situation take place, will they know what to do or have the tools to respond? Our team does. Hire someone with the right knowledge and credentials and you will get your job done with unmatched quality. Call Trouble Shooters today to find out more about our services 416-291-9444. All I want for Christmas is a crapper!